Regarded as a cornerstone of support within the organization, NASBA appoints as many as 30 committees and task forces each year. Through the work of these committees, NASBA volunteers and staff address current and emerging issues affecting Boards of Accountancy across the 55 jurisdictions. Topics range from ethics, education and global regulation in accounting principles to the development of model rules for the member boards’ consideration. Throughout 2013, we will share features about each of our committees to highlight why they were established, the duties and functions they perform and to focus on some of the things they hope to accomplish in the near future. 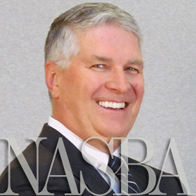 We continue our series on NASBA’s committees with a look at the Enforcement Resources Committee. The Enforcement Resources Committee’s charge is to promote effective, efficient, and where appropriate, uniform enforcement of professional standards by Boards of Accountancy. Stacey Grooms, NASBA’s Regulatory Affairs Manager and Committee staff liaison, said a primary goal of the Committee is to identify and understand the needs of the Boards, and then to seek to create tools or other avenues to make resources available to the Boards to meet those needs. “While believing that all Boards can benefit from the resources created by the Enforcement Resources Committee, these resources are particularly helpful to Boards that may have fewer available resources, and may be unable to achieve some of these results without the support of the Committee,” said Grooms. Over the past several months, the Committee has developed a multitude of practical tools that can assist the Boards in their enforcement efforts. In December 2012, the Committee was pleased to announce the release of an online version of its Enforcement Resource Guide, available to current executive directors and members of Boards of Accountancy. The Enforcement Resource Guide was developed in order to provide accountancy boards with a wealth of information on practices in enforcement, and is intended to be used as a resource in developing or enhancing their enforcement systems. To further support the Boards, the Committee launched an online Investigator Training Series in March 2013. This series of training modules was created to provide guidance to assist investigators in understanding the enforcement process for Boards of Accountancy. The modules also include sample forms to help the investigator with the steps of a successful investigation, such as samples of an investigation report, expert engagement letter or chart for tracking pending investigations. Another great resource for Board members recently launched by NASBA and the Enforcement Resources Committee are the Investigator and Expert Witness databases. These databases will be populated automatically from information submitted by interested parties using an online application to solicit a pool of investigators and a pool of expert witnesses available for hire by state boards when the need arises. These databases can assist executive directors in locating the perfect investigator or expert witness for their particular situation. For more information about the activities and endeavors of the Enforcement Resources Committee, take a look at the Enforcement Newsletter available in the Publications section of this website. Also, for a list of participating Enforcement Resources Committee members, please visit the Enforcement Resources Committee page.